Tsering Woeser, the subject of Chinese filmmaker Zhu Rikun’s extraordinary new documentary, is a Tibetan writer born in Lhasa in 1966. Her early education was completely in Han Chinese; as a conformist, "patriotic" "red" student, she used her Chinese name Cheng Wensha. 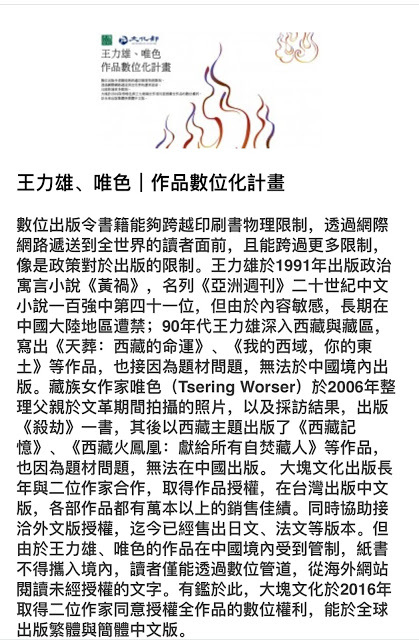 In university, she gradually became more aware of her ethnic identity and, using her Tibetan name Woeser, moved back to Lhasa and began to publish in Tibetan literary and journalistic magazines. 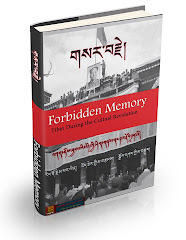 Her breakthrough book, Notes on Tibet, was published in 2003, then suppressed in China. 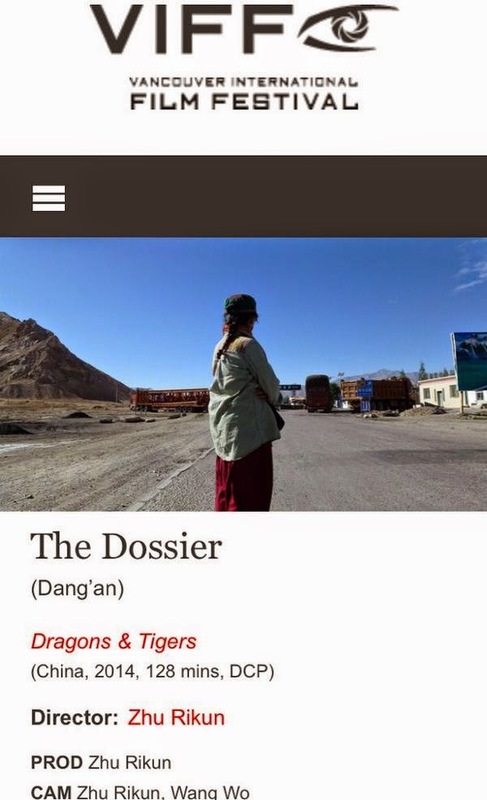 Now based in Beijing, Woeser has become one of the most eloquent voices on Tibet via her blog, internet publications and a lively Twitter account. Zhu Rikun’s sharply designed, formally innovative documentary is completely in Woeser’s own voice: Zhu alternates formally photographed scenes of Woeser reading excerpts from her secret government "dossier" (which she has somehow gained access to) with scenes of her speaking in her own soft but powerful, eloquent, passionate voice. In the film’s second half, Zhu breathtakingly changes register: the film moves from inside Woeser’s house to her voyage by car back to Tibet, tailed by security agents. Woeser’s moving account of her political awakening and current activism makes for a powerful document of a Tibetan woman finding her voice and insisting on her freedom to use it.